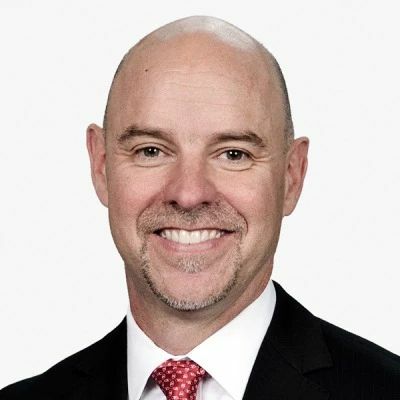 Learn more about Ryder through Q & A sessions with Chairman and CEO, Robert Sanchez. Visitors will be able to select specific topics based on their interest and knowledge. The Q & A sessions are hosted by Bob Brunn, VP of Corporate Strategy and Investor Relations. Ryder operates behind the scenes, managing critical fleet and supply chain functions for approximately 50,000 customers, many of which make the products that consumers use every day. The Company’s solutions fall into the following three areas: Fleet Management Solutions, Supply Chain Solutions, and Dedicated Transportation Solutions. Profitably grow fleet management and supply chain outsourcing services by targeting private fleets (FMS & DTS) and key verticals (SCS) with operational excellence, a strong customer focus, innovative solutions, and best in class talent and information technology. Ryder employees share a common set of values that uniquely define us, our brand and our commitment to serving customers. 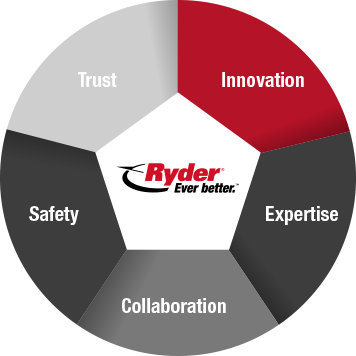 By living our core values, our actions strengthen the promise of our solutions and our ability to deliver all that Ryder has to offer. (c) Comprised of the number of vehicles serviced under transactional on-demand maintenance agreements. Vehicles included in the end of period count may have been serviced more than one time during the respective period. (d) Represents percentage change compared to prior year period in average sales proceeds on used vehicle sales using constant currency. (1) These amounts result from continuing operations. Non-GAAP financial measures - please refer to financial statements and Earnings Release materials for description and reconciliation of non-GAAP financial measures.